Hayward is the leader in the industry when it comes to filters. There are three different types of filters, Sand, DE Filters and Cartridge. 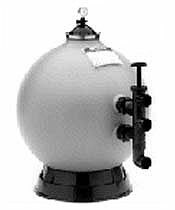 Sand filters are perhaps the oldest and even the most widely used filter for swimming pool owners. 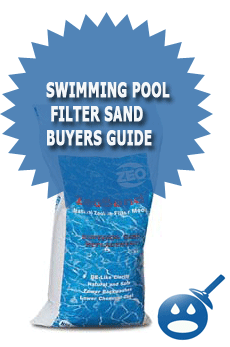 There are plenty of sand filters that you can find in your local swimming pool supply store but those filters are not as top notch as Hayward. Hayward Sand Filters use a special type of sand called # 20 Silica Sand. You may not think that sand really makes a difference but it does. This type of sand has sharper edges than other types of sand. This sand will separate debris particles and allow the water to filtrate at a higher rate than other filters. As the clean sand lands the large particles in your pool the sand removes the debris. The sand in these filters can be cleaned by simply backwashing the filter. This is a method when the reverse water flow travels through the filter and to the waste line. By doing this on a regular basis you won’t have to change your sand too often in a season. 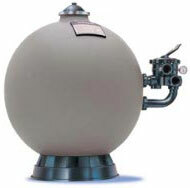 Hayward has 4 Sand Filters that would make a great addition to your swimming pool. The Pro Series Plus, The Pro Series Side Mount, Pro Series Top Mount and the S200. Read on to see which filter would best be used in your backyard. The Hayward Pro Series Sand Filters are perfect for in-ground swimming pools. They can be used with in-floor cleaning systems, solar heating systems and even water features such as waterfalls. 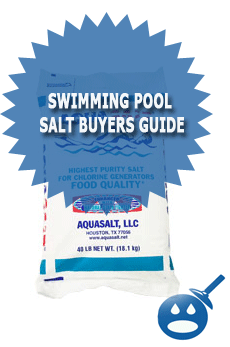 They are also great for use with in-ground spas or in-ground pool and spa combination’s too. Some of the great features that the Pro Series Plus Sand Filter has a strong-flanged inspection cover that is perfect if you need to get access to the top of the filter. The filter has an automatic air relief system that gets rid of any trapped air that may happen while your filter is running. The Hayward Pro Series Plus offers a larger capacity for sand and water to drain out faster when you are closing the pool or when you are servicing the pool. There are 3 different models in the Hayward Pro Series Plus, The S311SX, S311SXV and the S360SX. The S311SX has a sand requirement of 350 pounds of sand, the S311SXV requires a 350 pounds of sand and the S360SX has a capacity of 750 pounds of sand. The Hayward Pro Series Side Mount Sand Filter is high rated sand filters that have the most advanced technology behind them. The side mount styles of the Pro Series Sand Filter are good for in-ground swimming pools of all shapes and sizes. 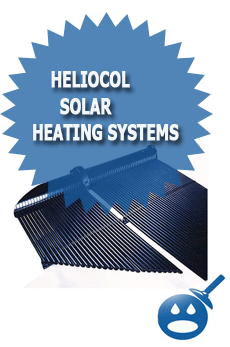 They can be installed with in-ground spas for both commercial and residential spas. They can even work well with water features such as fishponds, water fountains and even water gardens. The Hayward Pro Series Side Mount Sand Filter uses a top diffuser that guarantees that the filter is filtering water at an even distribution. The piping in the filter is 2″, which is big enough to allow water to travel through the system freely and more efficiently. The filter tank is made from a non-corrosive polymer material, which can stand up even in the nastiest of weather. The Side Mount Filter has a 6 position Vari-Flo control valve that allows you to change your filters settings with ease. There is even a sight glass that will let you monitor when the back washing of the filter is complete. There are 3 main models in the Pro Series Side Mount Sand Filter, the S210S has a capacity of a 44-gallon per minute water flow rate, the S244S has 62 gallons per minute water flow rate and the S310S has 98 gallons per minute water flow rate. These sand filters have a 1 year limited warranty and they use only a High Rate Sand No.1/2″ Silica Sand. The Hayward Pro Series Top Mount Sand Filters can be used with any in-ground swimming pool as well as any in-ground spas with residential and commercial applications. The filter has a design that includes a flange clamp that makes a 360-degree rotation of the valve.The Hayward Pro Series Top Mount Sand Filter has 7 different positions on the Vari-Flo Valve. This handle is easy to use and the sections are easy to read.The Hayward Pro Series Top Mount Sand Filters has a large pressure of sand and water that makes draining the filter quicker and easier. The filter has an umbrella fold self cleaning sides that make water flow more balanced and makes backwash easier. There are 6 different models in this series; they have a sand requirement ranging from 250 pounds of sand to 700 pounds. This filter uses only a High Rate Sand No 1/2″ Silica Sand. It has a limited one-year warranty and it is truly one of the best in the industry. The Hayward S200 High Rate Sand Filter is a compact design, making installation easy into backyards easy. The S200 offers a 6″ threaded inspection that offers easy access to the top of the filter. The sand filter uses a 6-position Hayward Vari-Flo control valve with 6 different filter functions. The filter uses a larger than most pressure sand and water drainage system for winterizing or simple maintenance. The Hayward S200 High Rate Sand Filter uses a top diffuser that allows the filter to provide more of a filter distribution of water. The corrosion proof, heavy-duty filter tank that will provide a long lasting life. The S200 has a filtration area that works best at 2.20 feet and 44 gallons per minute design flow rate. The amount of water is overturned in 8 hours is 21,120 gallons. Pretty impressive. 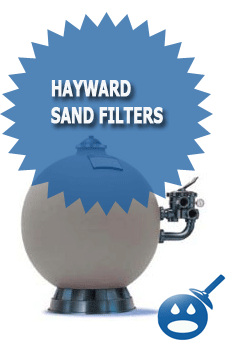 Hayward Sand Filters are the best in the industry. They are all made with high quality material as well as the most advanced technology. If you are looking to start the season off right or maybe are in need of a new sand filter, check out the Hayward Sand Filters you cannot go wrong. review didn’t specify what is the pro and what is the con between top mounted and side mounted filters. I have been a pool guy for 17 years and I like them both, I don’t really see any pro’s or cons …. Depends what you like. my hayward filter circulates properly however when I vacuum the pool any green algae circulates right back into the pool through the returns. almost as if there was no sand in the filter. any suggestions? there was little suction. Also when I’ve tried to backwash the small glass “jar” on the side of the filter doesn’t fill with water. Any ideas on what the problem is and what I can do? The “glass jar” you are referring to is called a “filter sight glass” and its purpose is to show you what the water looks like at the end of the hose / coming out of the backwash port. When the “multiport” is set on “back wash” the sight glass will fill with water and when it gets clear you usually will stop back washing. NOW: If your sight glass in NOT filling with water on “back wash” then you most likely have a bad “spider / multiport gasket”. You can either replace the gasket of the multiport body is good on the multiport or you can replace the entire multiport direction valve. The reason you have no more suction / power is most likely because your filter is way jammed with debris because the filter is not back washing. Please let me know if you have any more questions or need any additional help. I have a Haywood S200 and I need to change the sand. I have removed the clear dome on top, there is a top diffuser with a tube coming up through it. How do I remove this diffuser, what all do I need to do to get to the sand to remove it. I see I should use a shop vac, no problem, I just am afraid I will brake something. You can just pull off that diffuser but that’s actually the hard way to change the sand unless you use something called a “Venture Sand Vacuum”. Then removing the dome and “vacuuming” the sand out works well. The easier way is to get a screw gun and get a “socket adapt” and add a socket and remove all of the bolts around that mid point and then you will be able to lift off the top part of the filter and shovel or scoop the sand out in minutes, even into a wheel barrow. That’s what we like to do, but either way is fine. I need to know how much sand is required for my Hayward Preflex 340L32. I think this is the model # but I can’t be sure. The “Hayward Perflex filter is a DE filter NOT a sand filter. This filter requires DE media, Is that what you meant? No. That is the information I got from the filter itself. I know for certain that it requires sand I just don’t know how much as I am a renter of the property. Husband here. :-) Yes it is DE. I was just needing to know how much to use. I had helped the owners do this job when we first moved in. Besides quantity of the DE, I was interested in the life of the filter media (fingers), and if they are in any way delicate. If so are holes or general wear easy or hard to detect? Any help in getting this job done smoothly would be appreciated. I have seen the EC Filter last for over 22 years. In fact some of the REALLY REALLY OLD EC Perflex’s had a green top from the 70’s and they are still working in peoples backyards. The trick is to keep the filter clean, and the PH right inside the pool. 3) Apply some silicon to the internal threads and the threads on the gauge. I have a hayward sand filter and when i vacume the pool I can see the dirty warter coming out of the jets. Any suggetions? I would say its time to back wash the filter. I have the Hayward Pro Series Plus Sand Filter, When I open the relief valve on top of the filter there is very little pressure & water coming out, when I used to open it water would shoot out. Any Ideas? How old is that filter system? Seven years old, I changed the sand two years ago and all seemed fine. I replaced the relief valve months ago because it was leaking and after that the pressure has never been the same. Maybe a defective relief valve? Yesterday I took every thing that had a gasket on it from the pool to the pump, cleaned them and added lube, I re-started and the problem was gone. My newest problem is that I just installed a new Hayward replacement pump and can not stop a small leak at the discharge on top, I have applied plumbers tape several wraps, more each time with no luck. The directions say to apply two to three wraps, I did that it leaks, keep trying more four times now, it stll has a small leak, I know that I can not use plumbers paste, what can I use? If you have any other questions, please feel free to ask on that page. 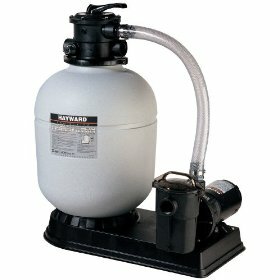 I have a hayward sand filter S244-T I changed the sand in it about 1 month ago, I was on vacation and the pressure is 30psi. What kinds of sand are you using in that filter>Also are you using Chlorine?